It’s been rumored for a little while now, but Marvel Studios has finally made it official: Ryan Coogler is confirmed to direct Black Panther for the studio. Coogler, who made a splash with directorial debut Fruitvale Station, is coming off the critical and commercial hit Creed (the latest addition to the Rocky franchise recently made $100 million at the domestic box office). Black Panther is set to star Chadwick Boseman (Get on Up) as T’Challa, prince of technologically advanced nation of Wakanda. Joe Robert Cole (announced to pen the Marvel flick Inhumans) takes screenplay duties, while motion-capture extraordinaire Andy Serkis (Rise of the Planet of the Apes, The Lord or the Rings) is rumored to be a part of the ensemble- likely continuing his Ulysses Klaue role. 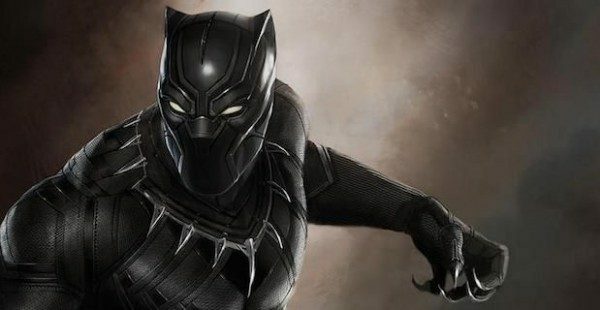 The official announcement of Coogler as Black Panther‘s director put the project in an accelerated position; Ava DuVernay was famously in talks earlier last year before declining the gig. “We are fortunate to have such an esteemed filmmaker join the Marvel family,” stated Marvel Studios president Kevin Feige. “The talents Ryan showcased in his first two films easily made him our top choice to direct ‘Black Panther.’ Many fans have waited a long time to see Black Panther in his own film, and with Ryan we know we’ve found the perfect director to bring T’Challa’s story to life.” We will get our first glimpse of Boseman’s Black Panther in the upcoming Captain America: Civil War. Black Panther is set for release on February 16, 2018. Coogler’s first film Fruitvale Station made a significant impression, winning both the Grand Jury Prize and Audience Award at the 2013 Sundance Film Festival. Coogler also won the Independent Spirit Award for Best First Feature with the drama. Both Coogler and actor Michael B. Jordan re-teamed for Creed, the latest chapter in the Rocky Balboa universe. That feature (which Coogler also co-wrote) has been nearly unanimously praised from critics and audiences alike- Sylvester Stallone just won a Golden Globe Award for his performance and may well be Oscar bound.